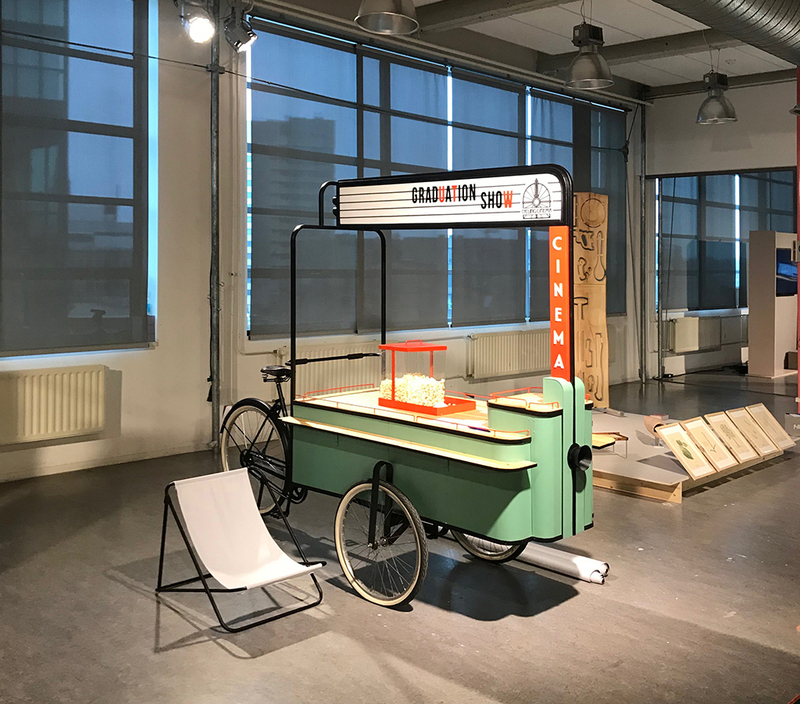 Design Academy Eindhoven graduate Milan Tak created a mobile cinema based on his love for organizing movie nights for friends and family. It started long ago by dressing up the room for a specific film to further add to the experience. Cycling Cinema is his solution for not having to find a place with an electricity outlet. 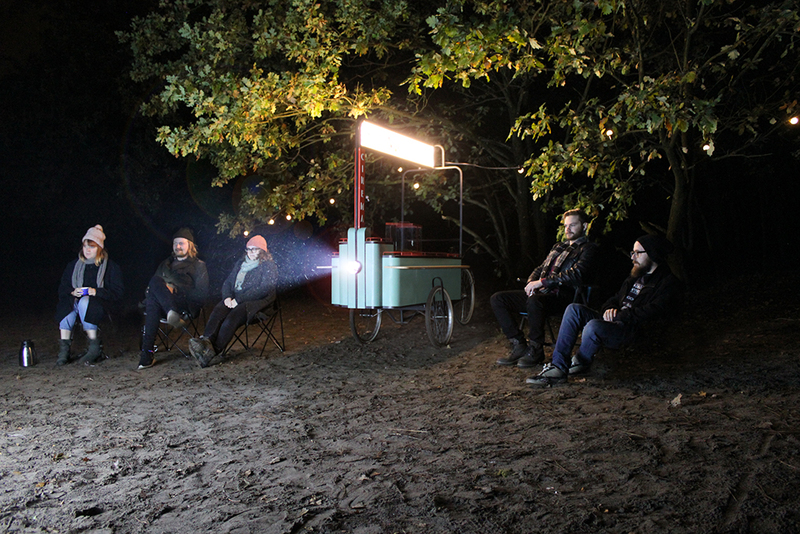 With a caravan battery you can now have a movie showing anywhere. 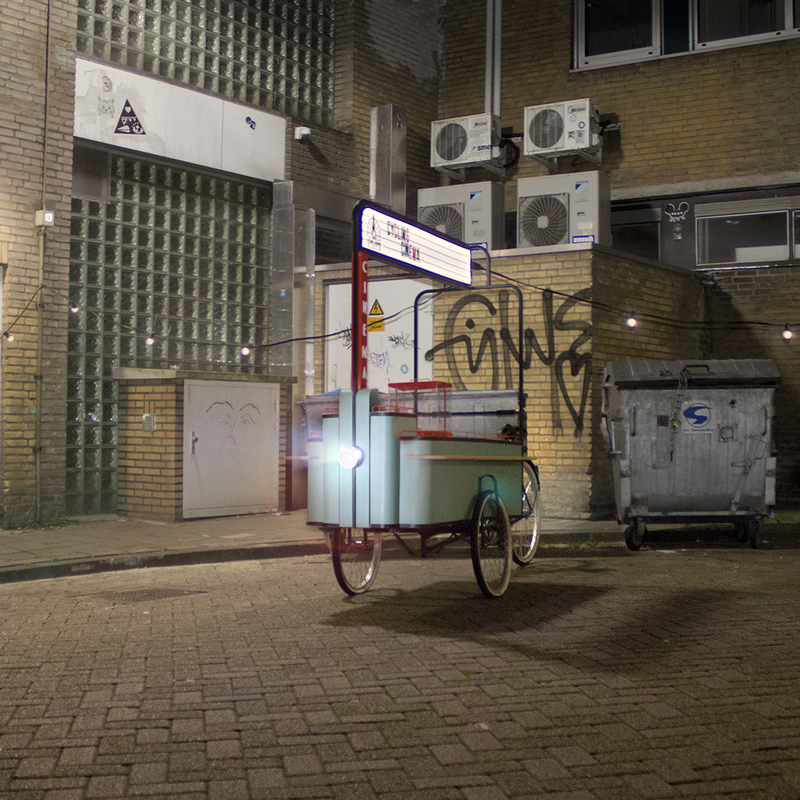 The bike is the iconic way of getting around in the Netherlands. 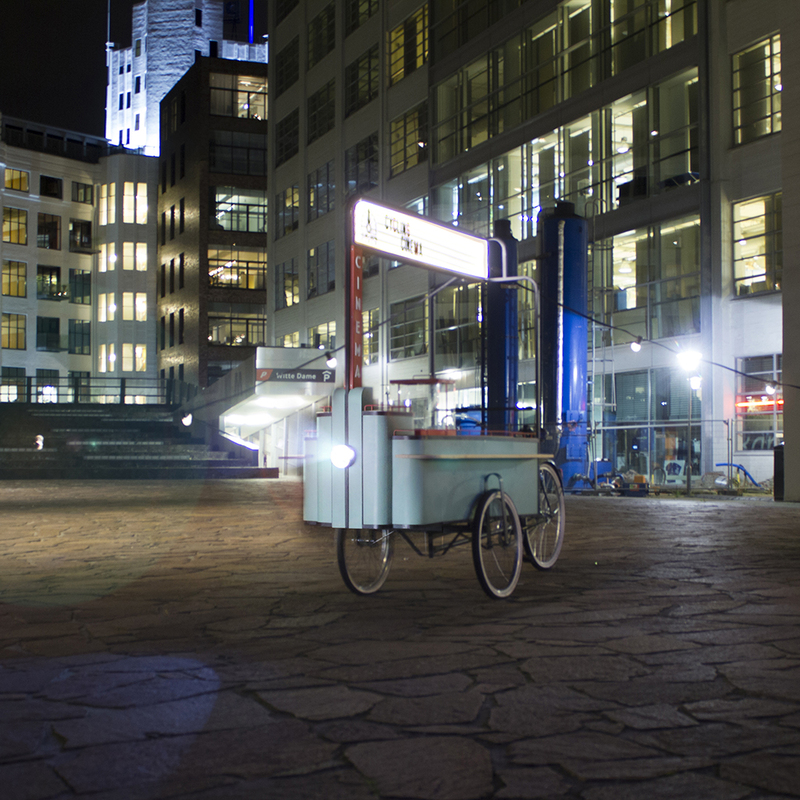 That is the reason why Milan transformed an old bread delivery bike into a mobile cinema. The first model was very much a toolbox. 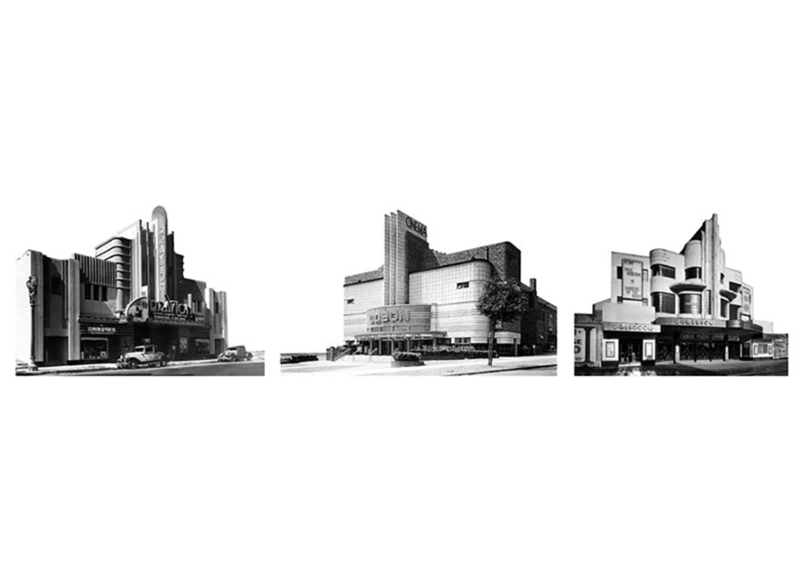 After doing research into the history of cinema he found the aesthetic of Art Deco. This style still has the romantic and nostalgic vibe of the archetypical cinema. At the movie theater you watch the film inside a black box. 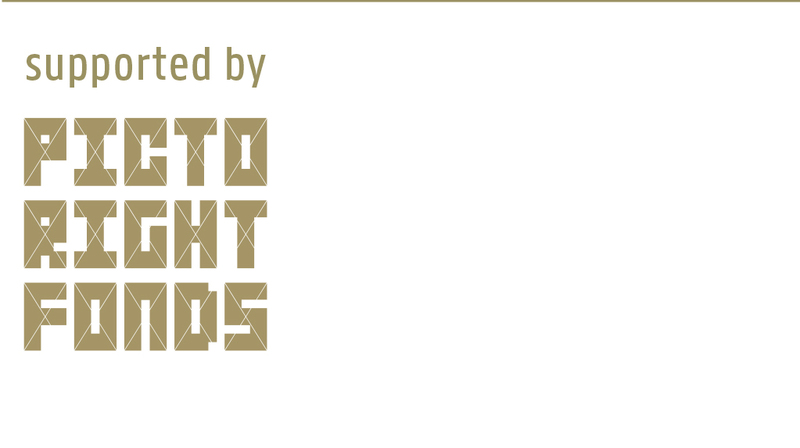 ‘Cycling Cinema’ offers a broader perspective, bringing the outdoor scenery into the picture. 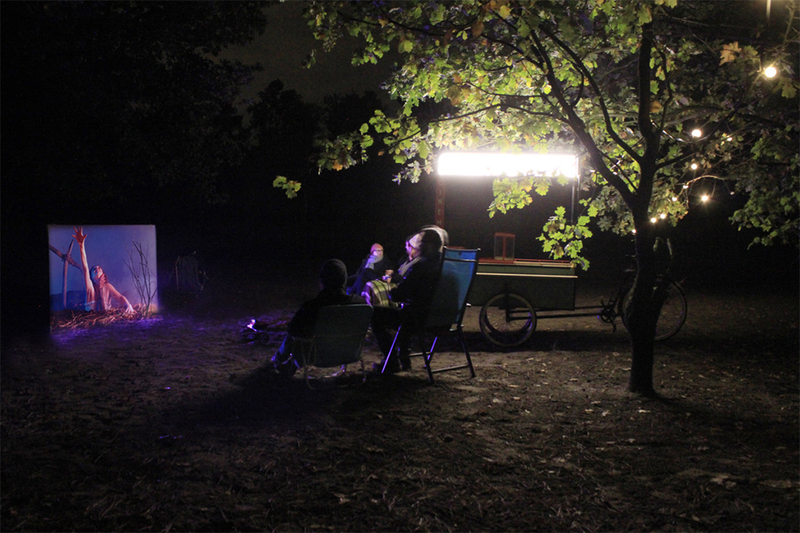 With a projector, screen, audio system, lights, eight chairs and a popcorn container tucked inside, this adventurous vehicle holds everything you need to transform any site into an open-air cinema.